Hello! 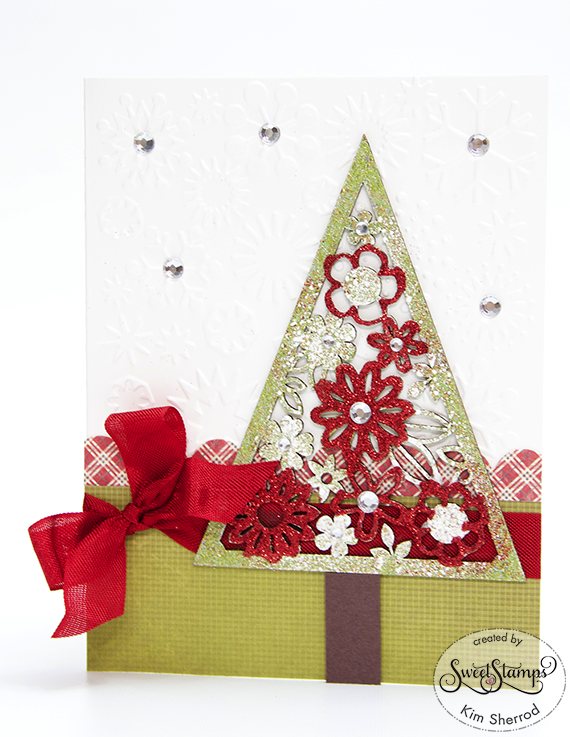 Kim here with a fun Christmas card using this Piccolo Floral Christmas tree. 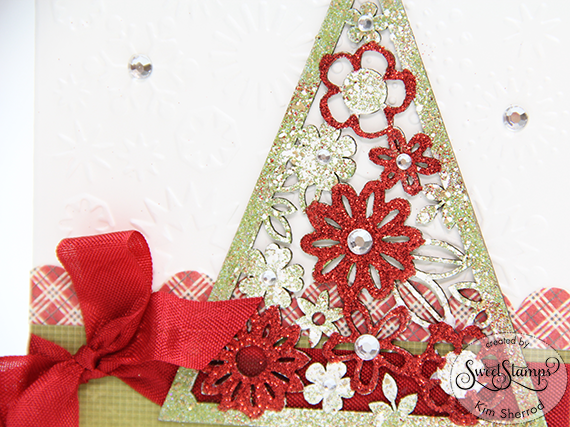 I used the Piccolo Embossing Powder Adhesive to adhere the Aged White and Shamrock Dreams enamel to the tree. I then used a fine tip clear glue to adhere the red microfine glitter to the flowers. To speed up the drying process on the glitter I used a heat gun. This is gorgeous, I love how the enamels and glitter look on the tree.